About J. Matthew Weaver, O.D. J. Matthew Weaver, O.D. was born and raised in Parkersburg, WV. He received his Doctor of Optometry degree from the Pennsylvania College of Optometry with his undergraduate studies from Marshall University. He has been an optometrist in the Mid-Ohio Valley for over 25 years. Eighteen years of his career was involved with an ophthalmology practice diagnosing and treating many eye diseases such as cataracts, macular degeneration, glaucoma, diabetic retinopathy and dry eye disease. 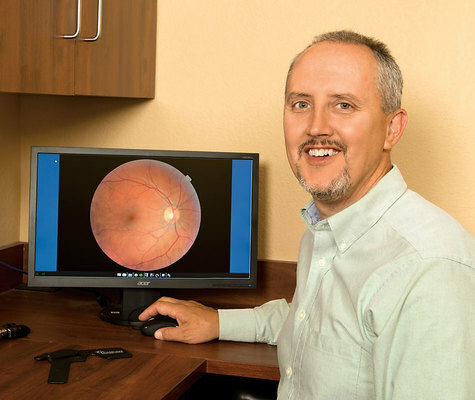 His practice now sees patients of all ages from infants to seniors, prescribing eye glasses, contact lenses and medications as needed to provide a high level of eye care. His office is conveniently located at 900 Grand Central Avenue, Suite C, Vienna, WV 26105, adjacent to the Eyemart Express.